Four finished levels. Three family/living rooms. 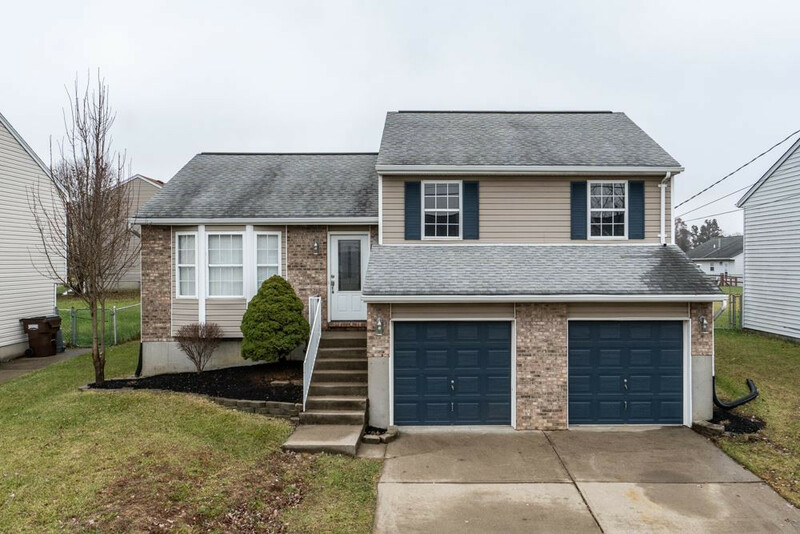 Beautiful and deceptively enormous updated home convenient to everything in Northern Kentucky! New vinyl tile in entry and basement half bath. Ceramic tile in kitchen. New carpet and some new stainless steel appliances Granite on island. Updated and opened kitchen, open great room w/bay window, two finished lower levels, two car over-sized garage, breakfast room with a walkout to deck and fenced yard. Spectacular home in a beautiful neighborhood. Home Warranty Included!